Category: Charm Packs, Quilt Books. 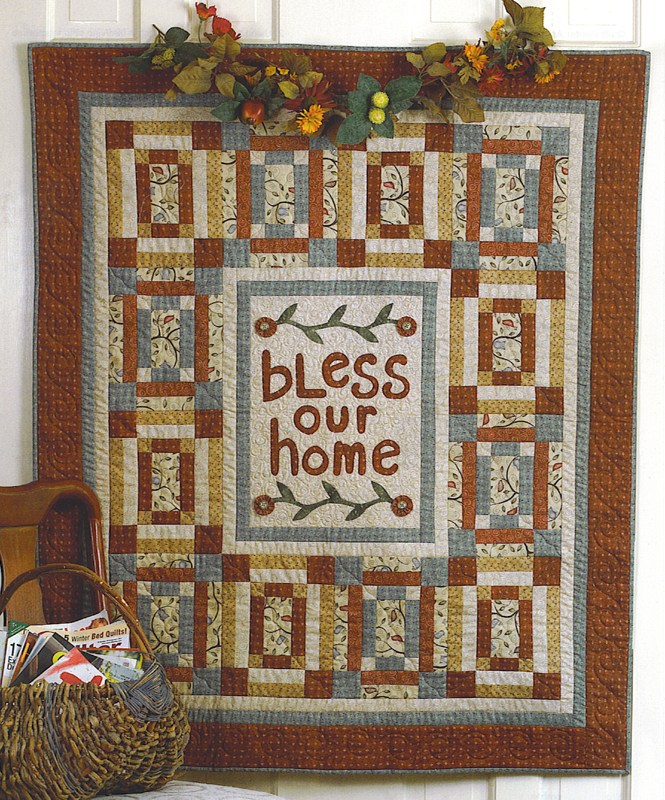 Tags: scrappy, template free piecing, topper, wall hanging, charm pack. 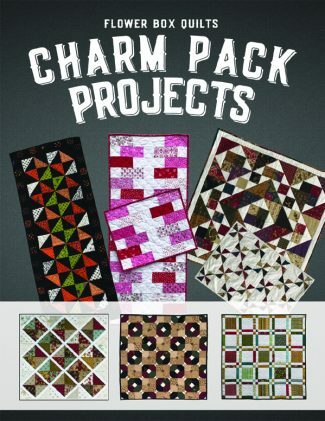 This booklet features 6 different quilt projects that uses one charm pack (42 coordinated 5” squares). 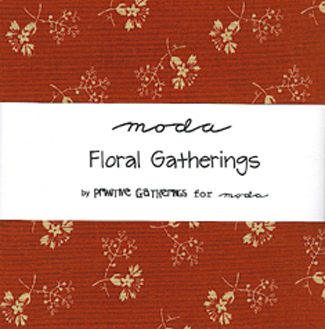 * Please check the Materials List for each quilt to see if you will need extra fabric for the quilt, and binding. * Please view the photo below as the tags on the quilt (CP #?) 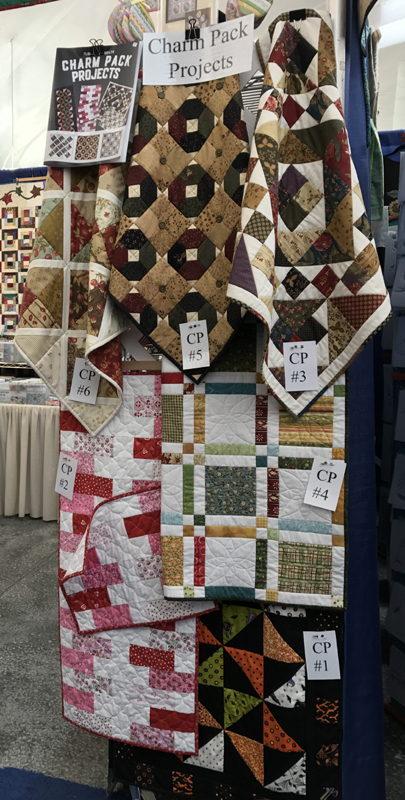 refer to the specific quilt project shown in our booth. 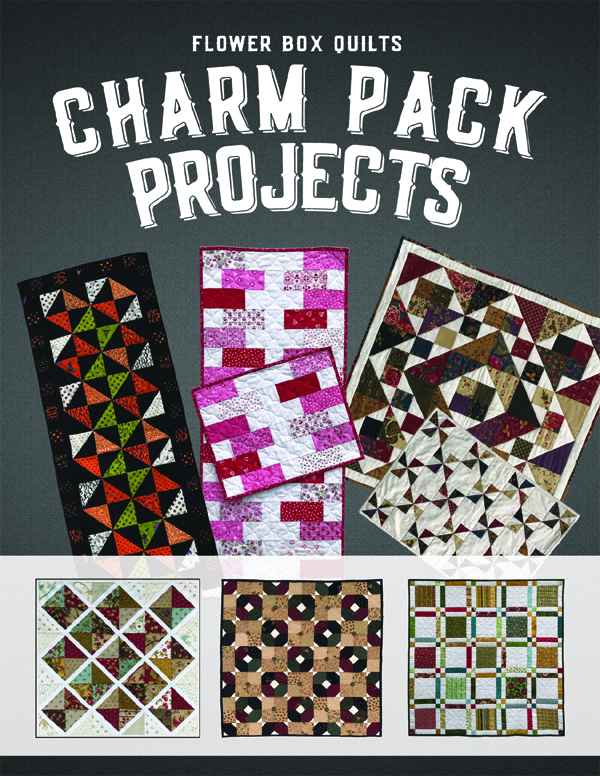 The charm projects are meant to be scrappy projects so you will want to “audition” the squares and strips before sewing. The diagrams for each project are created in grayscale to highlight the Color Value (light, medium and dark fabrics) are intended to go. 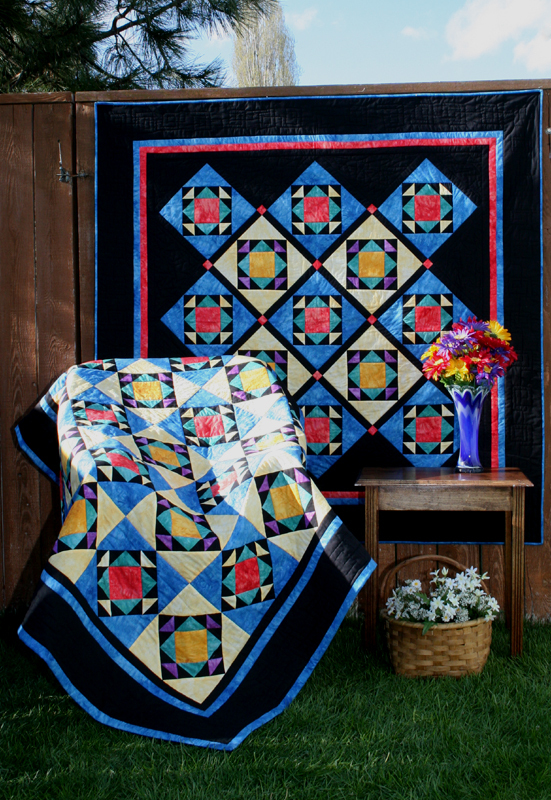 You will want to have the various “light” and “dark” fabrics spread evenly across the quilt. This is why a coordinated charm pack is perfect to work with as it has a variety of prints in light, medium and dark! 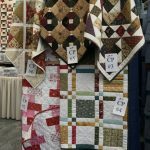 Please note that the color photographs of the finished quilts on the cover are just a sample of what was created with that particular charm pack! 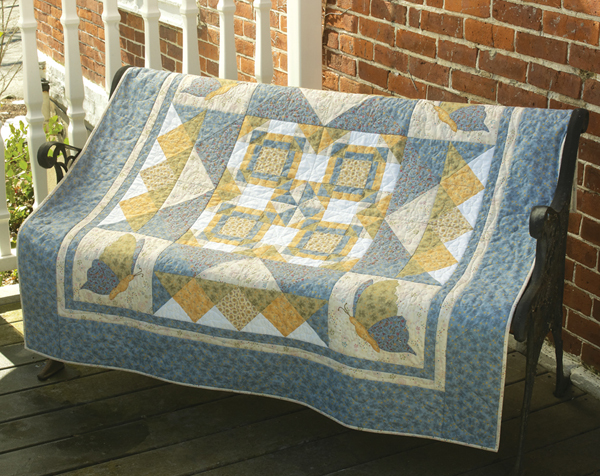 Your quilt will look entirely different (yet similar) with your charm pack using the light, medium, and dark fabrics as noted in the directions.